Youth Breaking Borders (YBB) is our intensive popular education and leadership program for immigrant and refugee youth. In YBB, youth produce media that explores critical issues faced by new immigrant youth and their communities; and distribute the pieces, in NYC and nationally, through film screenings, workshops and online delivery platforms to build broad-based support for immigrant youth and intergenerational social change efforts. Community Media in Action links community social justice issues with youth media makers and community organizers for a compelling collaboration. The program provides trainings and support to NYC based social justice groups; including rapid response media production, live event coverage on social media, developing impactful messaging for campaigns, and public speaking. It is our response to the vital need for both media production and analysis in community organizing efforts. It's our attempt to support youth leadership, arts and media at the forefront of organizing for social change. SupaFriends is GAP’s social justice media-arts leadership program for TLGBQ (Transgender, Lesbian, Gay, Bisexual, Queer) youth in New York City. SupaFriends takes leadership in defining their issues and solutions; produces strategic, thought-provoking media expressing the unique stories and perspectives of TLGBQ youth. 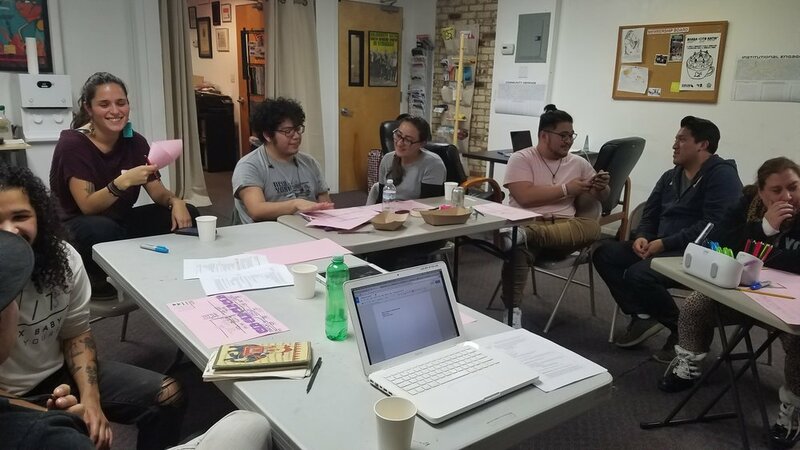 The media that is produced is used to facilitate discussions, and enter into public debates about issues that impact the lives of low-income POC TLGBQ communities. TRTM builds the capacities of TGNC (trans and gender-non conforming) young media producers to create and distribute media that amplifies the impacts of and solutions to the criminalization of TGNC communities in New York City and across the country. TRTM is in the process of developing a national online television platform exclusively for TGNC youth. Learn how to make videos about issues you care about. Apply for Global Action Project's programs today!